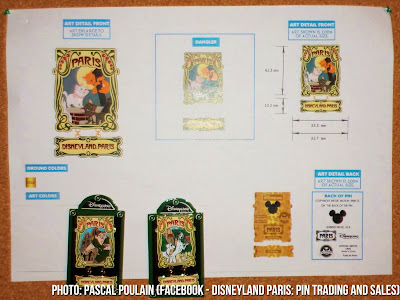 A couple of weeks ago, Disneyland Paris hosted their end of year pin trading event, as usual it was a chance to preview some of the fantastic new pins on the way in 2014. (Unlike at the Summer event, where the art work said 2014, but they were mostly released in the Autumn). 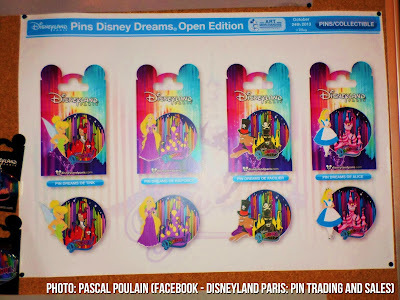 Thanks to Disneyland Paris pin trading facebook pin trading pages, we can show you a few of these pins. 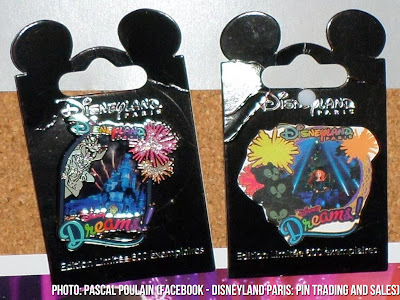 Overall, the pins this coming year are very promising, and have two very clear themes: Dreams! and Paris. Paris is going to be everywhere in Disneyland Paris this year, and why not? Not every Disney Park can celebrate being that close to one of the world’s most beautiful cities. Let’s begin with what is, for me, the stars of the show. 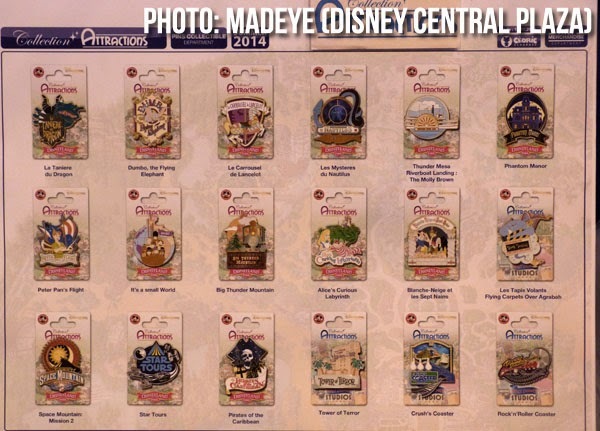 The wonderful attractions pins from 2013 return and get even better. We’ve already seen the release of the Rock ‘n’ Roller Coaster pin in December, January sees the release of the Pirates of the Caribbean, Tower of Terror and Crush’s Coaster pin. 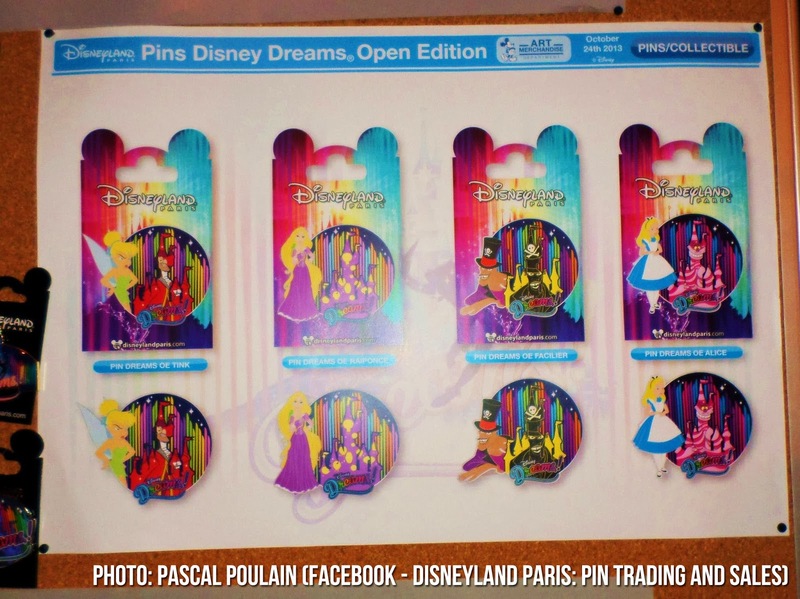 Coming up are some even more amazing pins, Big Thunder Mountain, Alice’s Curious Labyrinth, Blanche Neige et les sept nains and Flying Carpets over Agrabah. All of these are essential to my collection, what about yours? I know these have gone down very well with Disneyland Paris fans, which means we are perhaps likely to see even more after this. Next up, are the Cast Member refresh pins, these are pins given to Cast Members wearing a lanyard with the aim of giving them to guests through pin trades. A good set this year, I really like the Sheriff Woody badge and the Flynn Rider pin. The next set of pins are of a Minnie Mouse dots theme, these are super stylish and could even be described as ‘Parisian chic’ beginning a bit of a Parisian year for Disneyland Paris. So, this is the first set of true Parisian pins which are in the style of the Paris metro, they look fantastic and keep very much in the traditional Parisian style. 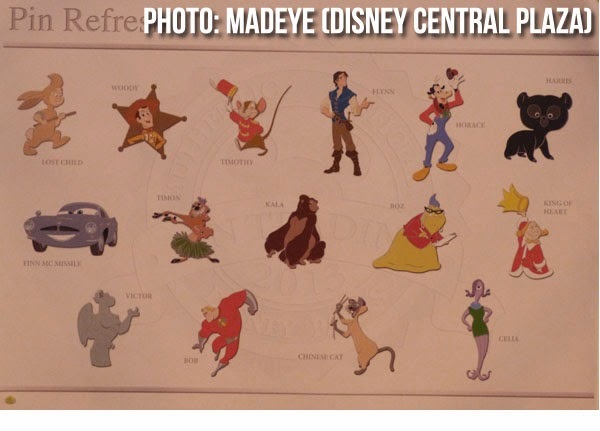 Characters are featured from films including Aristocats, Hunchback of Notre Dame and 101 Dalmatians. 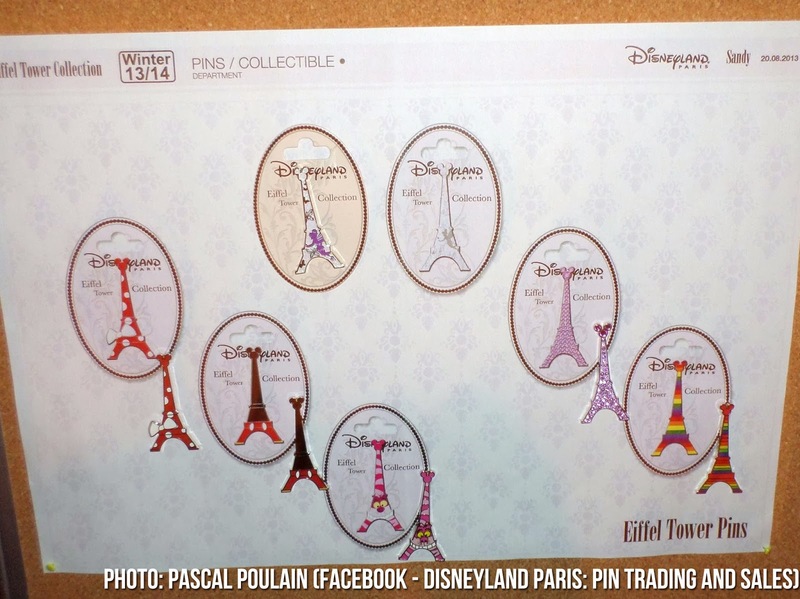 More Parisian pins here, this time in the form of Eiffel Towers, these are Eiffel towers with a very subtle Disney twist, the tip of the tower is made out of a Mickey head. Very nice design, a wide variety of Patterns, I’m sure most people will see at least one that they like. (I’m rather fond of the Cheshire Cat and Mickey ones). 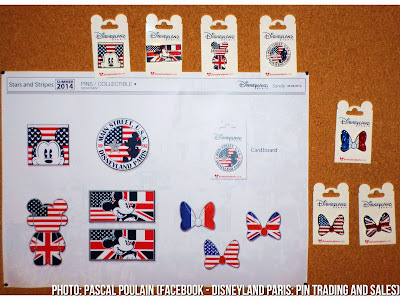 From Paris to America now (with a little Union Flag to keep the British happy?). These pins look ‘ok’. The idea is nice, the execution is ok. 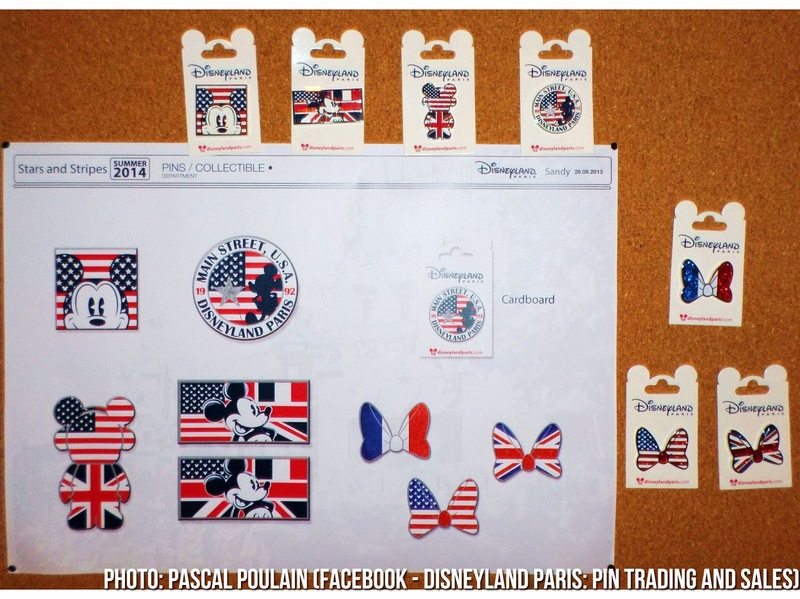 I really don’t like the big rectangle shape one featuring Mickey and the three flags. On the other hand, the Main Street USA circular pin really catches my eye. 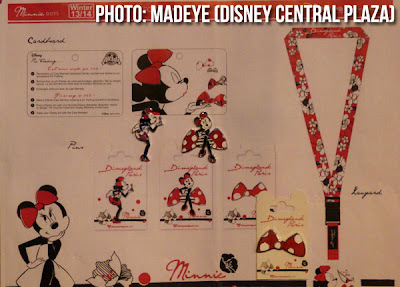 And Disneyland Paris come out with a new set which I really must own. These look very similar in style to the Dreams pin that came out last May, so I imagine these will be ever so slightly 3D. I really like them, that Rapunzel is going to be hard to find though! 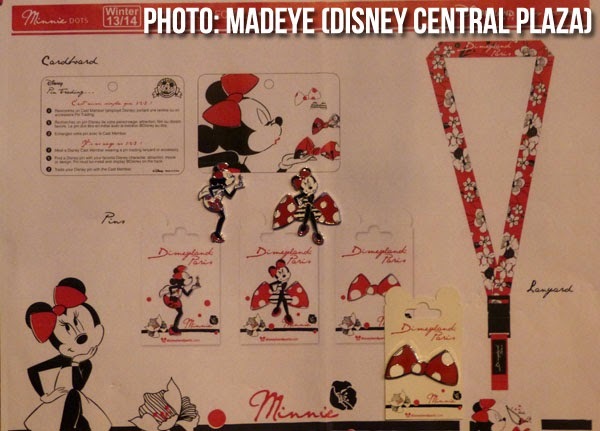 And the Disney Store set continues here with two pins that are going to be park exclusives. The crazy nature of the Disney Store sales means that I won’t be buying these – but good luck to those who do. 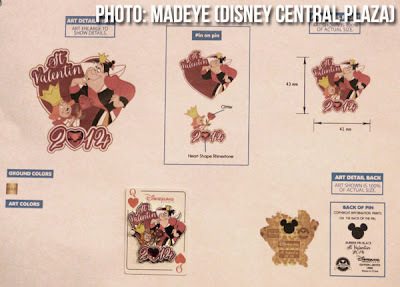 Finally, the Valentines Day pin for this year which features the Queen of Hearts (get it? It’s funny.) I really like it, it’s a pin on pin. It’s going to look fantastic in real life. So, what are your opinions on the 2014 releases that we’ve seen? Obviously this isn’t all of them, but from what we can see, 2014 is a bright year in pin trading. All of the pins have artistic merit. I can’t wait to see more and add some of these to my collection.